Q. 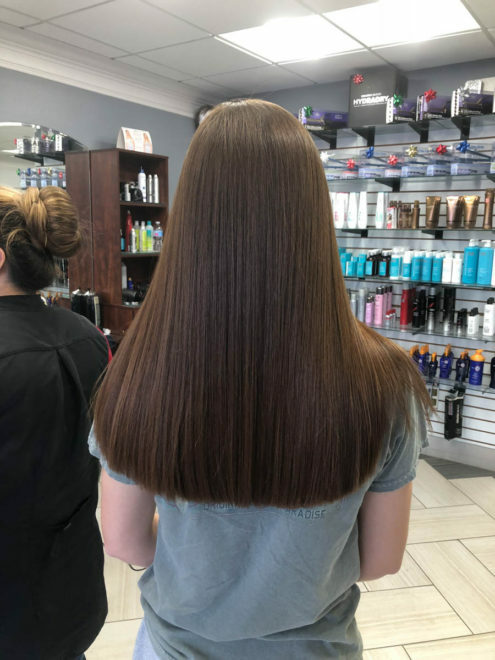 Does keratin smoothing treatment reduce the natural volume of the hair? A. No, your hair will retain more of its natural volume after the keratin smoothing treatment. Using a round brush and curling iron will always be an option to create more body and volume. Q. 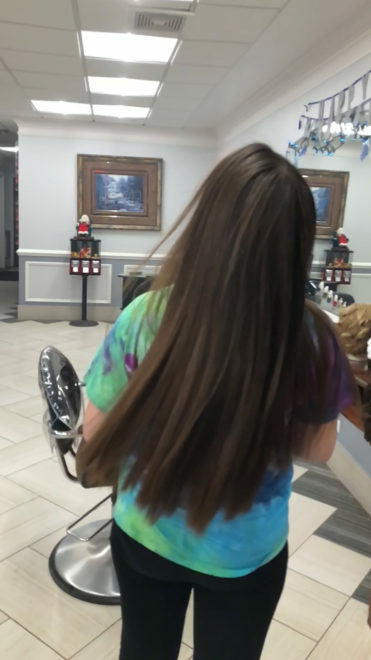 My hair is highlighted and/or colored, can it still handle the keratin smoothing treatment? A. 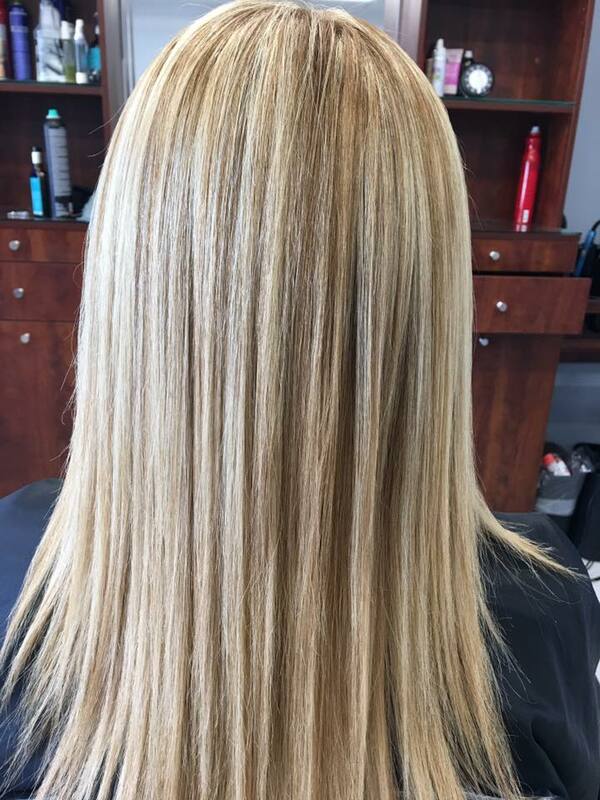 Yes, the keratin smoothing treatment is perfect for highlighted and colored hair. It will not only eliminate the frizz but will enhance the color as well, making the hair appear healthier overall. Q. 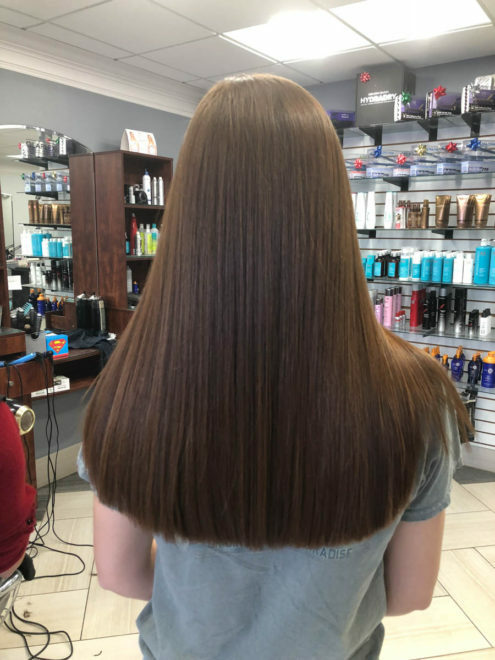 Will my hair be straight after the keratin smoothing treatment? A. It always depends on the natural texture of your hair. If the hair is curly, it will eliminate the frizz and define the natural curl. If the texture is wavy, the treatment most likely will result in your hair to dry slightly straighter. If your hair is straight already, the treatment will eliminate the frizz and give your hair a healthier and shiny look. The treatment, at last will reduce the time ruqired to blowdry almost in half. Q. 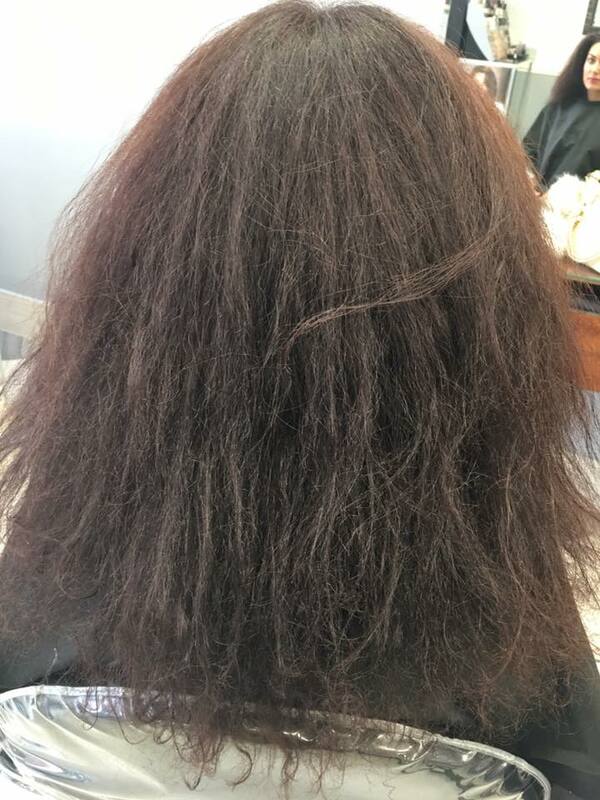 Who is the keratin smoothing treatment ideal for? A. Keratin smoothing treatment is ideal for almost everyone and every hair type. It will be as effective on all hair types including: thick, thin, dry, chemically damaged, straight, wavy and curly. This specialty service will make the hair healthier as it smoothes the cuticle and eliminates frizz and creates shine. Q. How long will the keratin smoothing treatment last? wave can return sooner although it will still be way easier to blow dry. It is also essential to use the proper support products. This treatment is cumulative so the more treatments you receive, the longer a client can go between treatments. Q. Is the keratin smoothing treatment compatible with other hair relaxers and perms? A. The keratin smoothing treatment is absorbed even better on chemically treated and damaged hair. The proteins and nutrients will seal the damaged cuticle and heal the hair. Q. 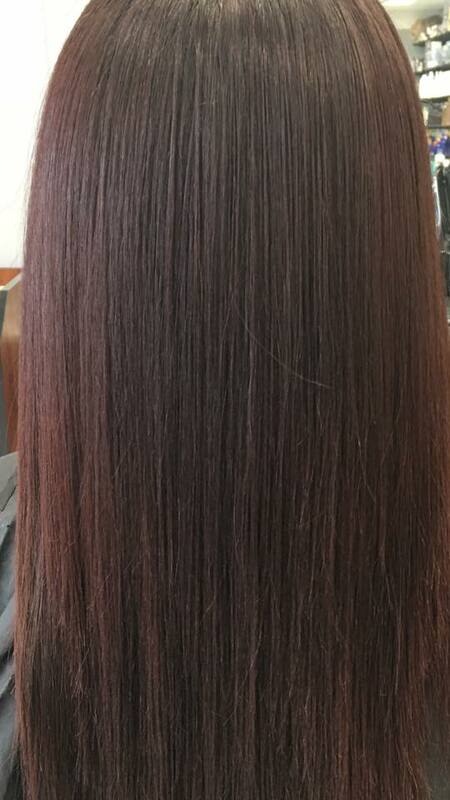 How long do I have to wait for my hair color when deciding to get the keratin smoothing treatment? A. 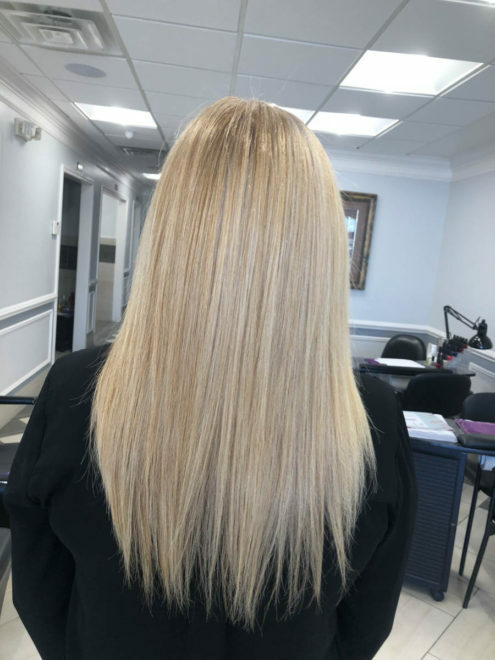 It is s ideal to get the hair color done first and then the treatment because of the cuticle is open and ready to fully absorb the keratin treatment. 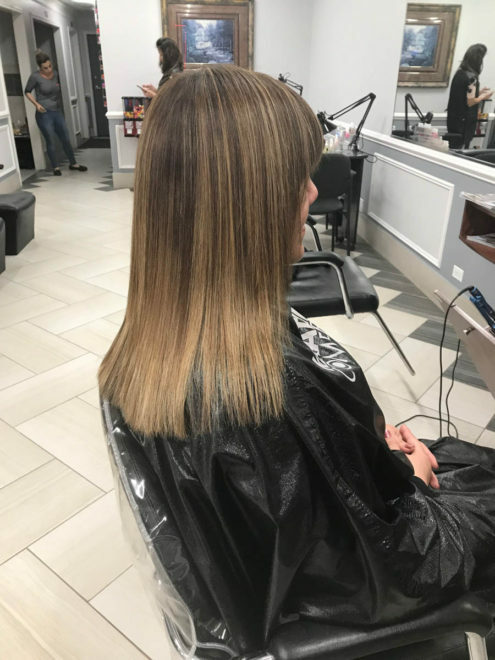 If you do have the keratin smoothing treatment done first and then decide to do color, you will want to wait 2 weeks before having a color service. Q. 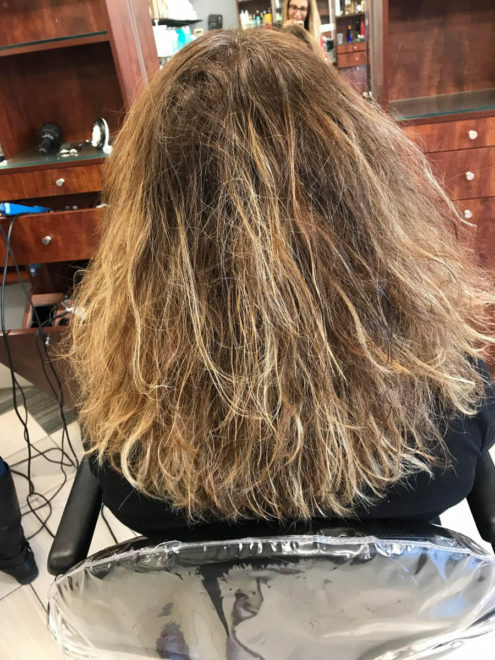 What steps can I take to prolong the life of my keratin smoothing treatment? A. The most important thing you can do is use the appropriate aftercare product line that your salon or stylist offers. The more often you wash your hair, the less time your treatment will last so you may want to try to wash your hair around 3 times per week if possible. Q. Will swimming in the ocean or pool compromise my keratin smoothing treatment? A. Swimming in the ocean or pool is fine, but the life of your treatment may be compromised if you swim regularly. A leave in serum or conditioner is a great product to apply before swimming to protect the hair from the elements such as chlorine and salt in the water. Q. 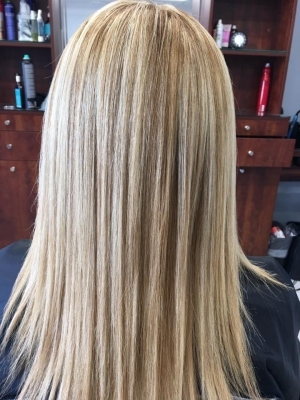 How long do I need to wait to wash my hair after the keratin smoothing treatment? A. There is no waiting period using the Cadiveu type and a three day waiting period for other types. Q. Am I still a candidate for the keratin smoothing treatment if I am platinum blonde? A. Yes. 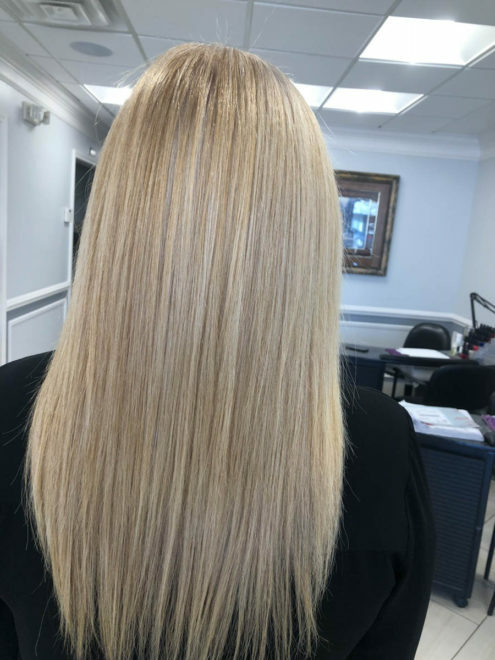 Your stylist has been trained on how to perform a keratin smoothing treatment and has learned to turn the heat of the flat iron down to 380-400 degrees depending on the condition of your hair. Q. 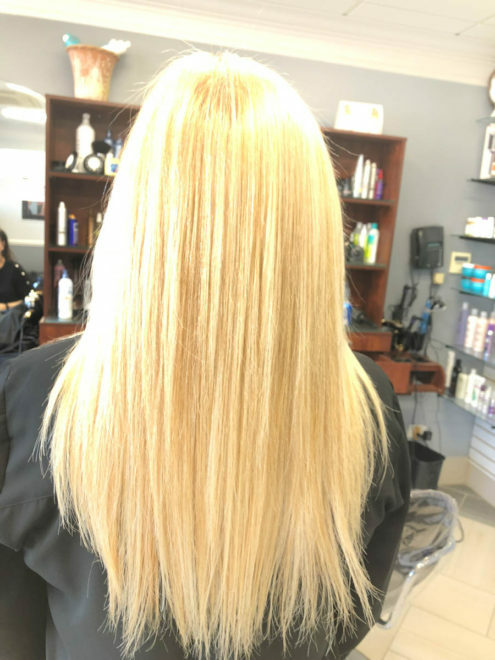 Can the keratin smoothing treatment be administered on hair extensions? A. Yes. 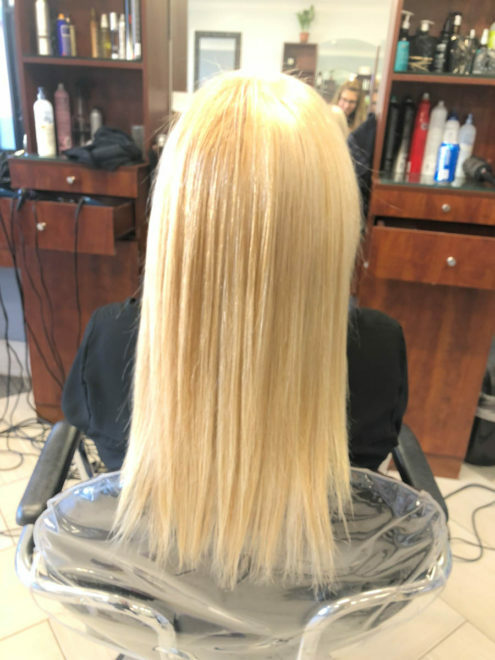 Actually this treatment is a great solution to the common issue of hair extensions becoming excessively dry due to the lack of natural oils from the scalp. Ideally, it is easiest to perform the treatment before the extensions are put in the hair. However, if they are in the hair, it is not a problem. Extreme caution should be used around the bond or cylinder area to. Q. 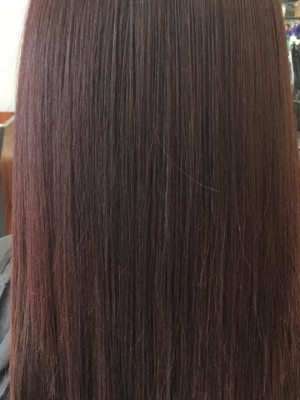 Is the keratin smoothing treatment permanent and will there be a new growth? which protects the hair. As the hair is protected for an extended time, the condition of the hair is improved. Q. Can the keratin smoothing treatment be performed on clients who are pregnant or breastfeeding? 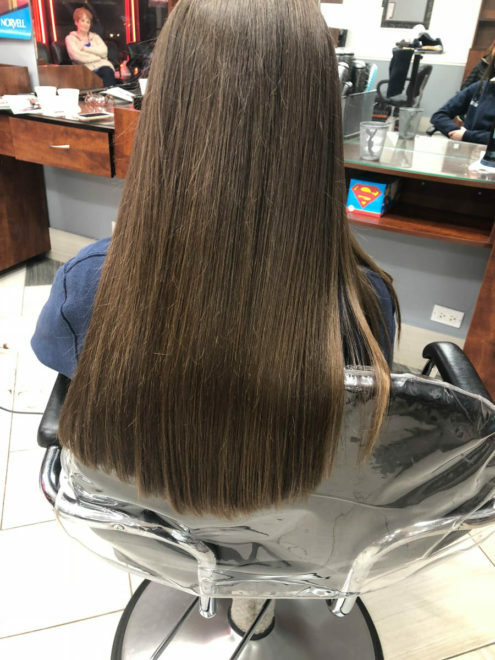 The Keratin Smoothing Treatment (known also as Brazilian Blowout, Coppola Keratin Treatment or Keratin Complex) is a smoothing method that infuses Keratin deep into your hair cuticle reducing up to ninety-five percent of frizz leaving your hair smooth, shiny and luxurious. The Keratin method temporarily “straightens” your hair as the Keratin is sealed into your hair with a flat iron. The Brazilian Keratin Treatment should be concidered a “longer lasting blow out” for your hair. Although the treatment does not last forever, results typically last up to three months depending on your hair type. 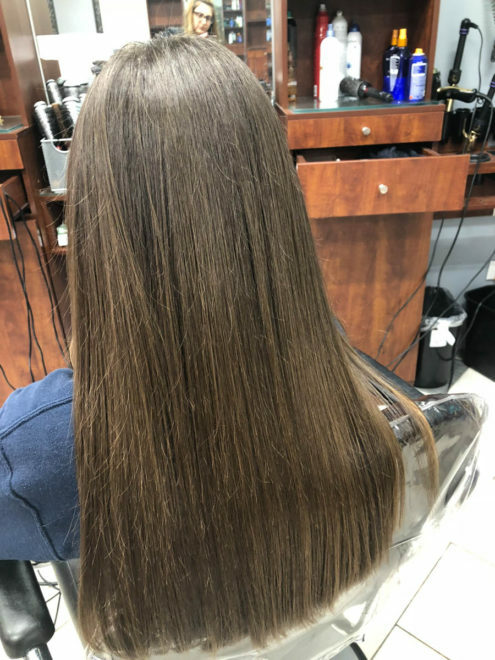 Originating in Brazil, the Brazilian Keratin Treatment is suited to be performed on every type of chemically treated hair. The treatment is gentle enough to use on all hair types: color treated, chemically processed, bleached or highlighted. It is ideal for mistreated, unhealthy, and very damaged hair. This process does not guarantee completely straight hair. It will reduce up to 90 percent of the natural curls and wave depending on texture, if done correctly and reduces the time spent on styling drastically without reducing the natural volume from the hair. 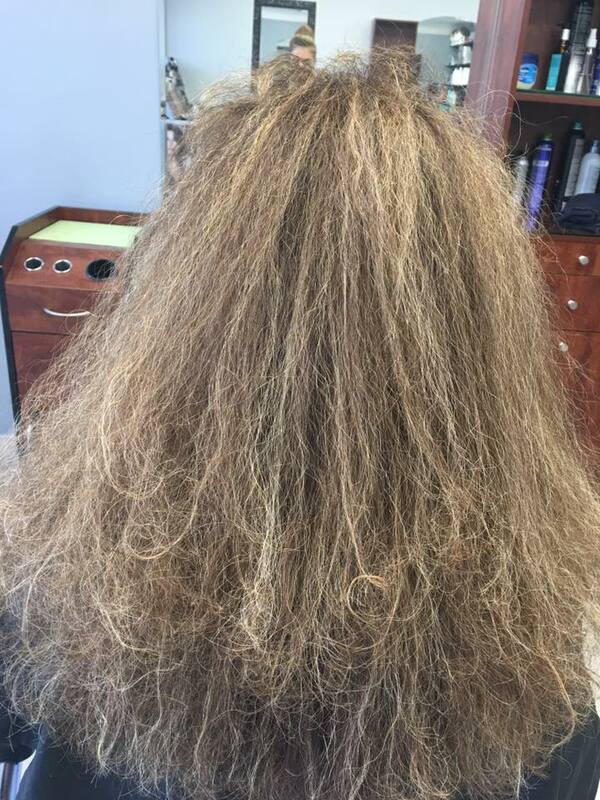 The Keratin therapy encases the hair follicle in a healthy bond which promotes healing, blocks humidity and prevents toxins from entering the hair. Keratin treatment is considered life changing. It rejuvenates and revitalizes the hair, giving it a softer, silkier feel that everyone praises. Have you ever dreamed of having healthy, shiny, lustrous hair? Hair that is softer? Smoother? More manageable? If the answer to these questions is yes, a Keratin Smoothing Treatment might be what you need.